On August 14, 2018, the Media Development Center at Birzeit University launched a new book, “Palestine’s Women: A Guide to Experts”, directed to news media agencies in an effort to promote women’s voices in the public sphere. The book launching ceremony featured ministers, public officials, and women who are experts and entrepreneurs in their fields. The guide is a print and electronic listing of more than 260 women who are authorities in fields such as engineering and technology, agriculture, crafts, sports, politics, public relations, education, health care, law, economics, and finance. 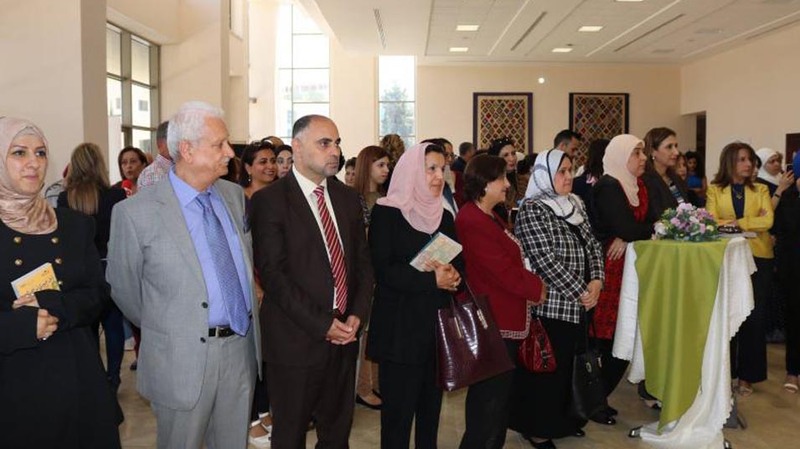 President of Birzeit University Dr. Abdullatif Abuhijleh welcomed the attending experts by noting that the university, one of the leading higher education institutions in the Arab world, was itself established by a female visionary, Nabiha Nasir, in 1924. 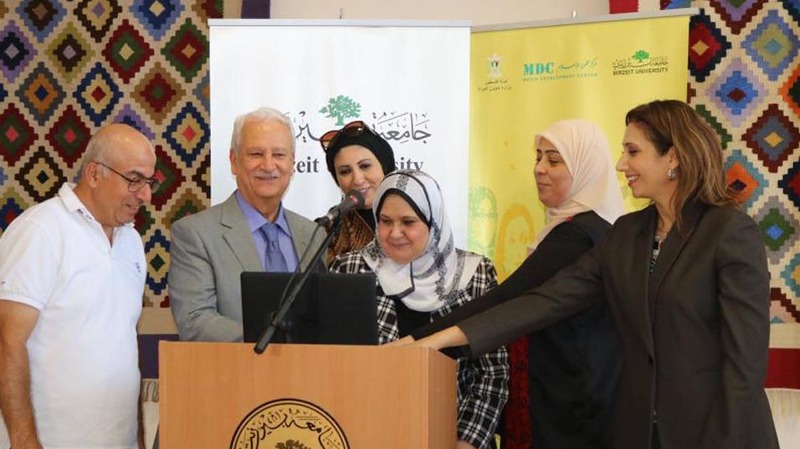 “Today, 62 percent of Birzeit University’s students are women; half of the administrative staff is made up of women; and one-third of our faculty is composed of women,” Abuhijleh added. “Women must support each other, and continue their efforts in building this nation side-by-side with men,” said Ghannam, who added that future editions of “Palestine’s Women: A Guide to Experts”, will include Palestinian women in the diaspora. Minister of Women’s Affairs Dr. Haifa Al Agha remarked that the book serves as a lighthouse to draw attention to Palestine’s experts, entrepreneurs, and innovators who are women. “It is a testament to limitless capabilities of Palestinian women,” she mentioned. To build upon the efforts initiated by the Media Development Center, and to afford women equal opportunities in all fields, change has to be affected such that the “stereotypical view of women, and the unjust treatment they are given, must be altered,” Al Agha commented. Ministry of Information Undersecretary Fayez Abu Aita said that Palestinian women, while sharing many experiences with women worldwide, are special due to the extraordinary circumstances in Palestine brought on by the Israeli Occupation. “Palestinian women have left their mark in every significant, pivotal moment in the path toward liberation and statehood,” he noted, adding that the Ministry of Information, together with Birzeit University and the Media Development Center, will work on disseminating and expanding the guide. Many might think that the notion of an expert who is a woman, Thawabteh clarified, was a concept foreign to Palestinian culture. “On the contrary, we all remember our grandmothers advising us on all aspects of life; it is a notion enshrined in Palestinian culture and heritage,” she noted.